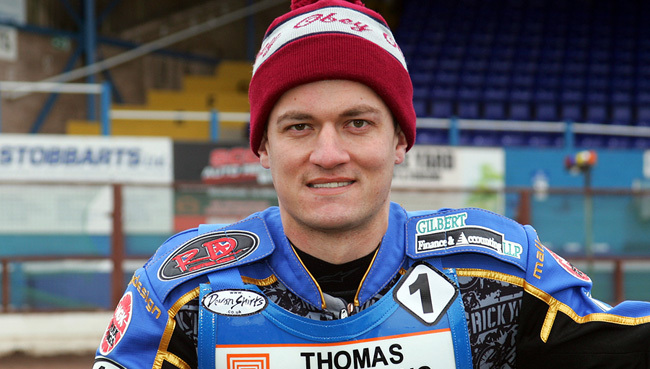 WOLVERHAMPTON returned to winning ways with a 49-43 home win against Leicester. On an entertaining night of racing at Monmore Green, it was a good first half of the meeting which played a pivotal part in gaining three more Elite League points. Parrys International Wolves raced their way to three, 5-1 maximums in the opening seven races to open up an eight-point lead. Despite only registering one heat advantage in the second half of the meeting, the Monmore men supplied plenty of race winners to claim a six-point victory. Club captain Peter Karlsson said: "We're delighted to pick up another win and it's an important one too because it opens up a gap between us and Leicester at the foot of the table and we desperately don't want to finish bottom. "It was always going to take a big effort when we lost Lewis (Blackbird) early on but the team did really well and everyone scored some important points. "It's nice to see some smiles back around the pits tonight and hopefully it will give us a bit of confidence back to go to Leicester on Saturday and push them close." Ricky Wells returned to form picking up three race wins as the home side's top scorer. Swedish duo Freddie Lindgren and Jacob Thorssell continued their run of impressive scores at No.1 and 2 respectively as they both bagged paid double figures. Peter Karlsson enjoyed a steady night and raced much harder than his points suggest while Josh Bates was kept busy but covered for Lewis Blackbird remarkably well with the highlight of his night coming in heat 12 to hold off the super-quick Jason Garrity. Tobiasz Musielak endured another tough night in the Elite League while Lewis Blackbird was advised to withdraw after crashing out of heat five. WOLVERHAMPTON 49: Ricky Wells 12, Fredrik Lindgren 10+1, Jacob Thorssell 9+1, Peter Karlsson 7+2, Josh Bates 7, Tobiasz Musielak 2+2, Lewis Blackbird 2. LEICESTER 43: Jason Doyle 12, Jason Garrity 8+1, Piotr Swiderski 8+1, Ashley Morris 6+2, Ludvig Lindgren 5, Grzegorz Walasek 2+1, Szymon Wozniak 2.